If you’re ever going to become a better golfer, you not only have to begin taking the sport seriously, but you have to upgrade your equipment so that you can truly play the part. Otherwise you’ll be using old, shoddy equipment that will never help you improve your overall golf game. In fact, it will hinder your progress and make you a much more terrible golfer then you want or need to be. Are you ready to get serious about improving your overall game? Are you ready to start making golfing a top priority in your life? If so, the first thing you need to do is upgrade your equipment, accessories, clubs, and more. And the best way to do so is to visit the Cleveland Golf website to check out many of the professional offerings available for avid golfers looking to take their game to the next level. What Is Cleveland Golf All about? Since you intend to buy professional golf clubs and accessories, you obviously want to purchase these products from a company that you can trust. You want to buy them from a company that cares about golfing and helping you improve your game. That’s exactly what you’re going to get when you trust the good people at Cleveland Golf. First of all, their high-quality, high-level products are designed with scoring in mind. They want you to improve your golf game as best you possibly can and they create products that will definitely help shave plenty of points off of your stroke. At the end of the day, Cleveland Golf understands the value of helping players improve their scores, they’ve dedicated themselves to ensuring players become better golfers, and they have products that will ultimately help you have a better golf game. So they really give a hoot about their customers and make sure their products will help them take their game to the next level. As an example, as far as your short game goes, they realize that the approach is not a one-size-fits-all. They have different types of wedges for golfers of every type, so you’ll definitely be able to find the perfect wedge, putter, or iron specifically developed to meet your needs. And because they understand that golfers are going to possess skills at every level, they’ve designed their products to make sure you’ll be able to get the ball much closer to the hole no matter where your skills happen to be. Cleveland Golf has an approach that focuses on achieving results with their irons and woods. They are designed with precision and distance in mind, so you’ll be able launch the ball with complete accuracy with every one of your shots. Plus their precisely aligned putters are going to help your sink putts in fewer strokes. All in all, the amazing innovations available from Cleveland Golf equipment is the key to playing more enjoyable golf, having a better game, appreciating your overall experience, and ultimately becoming a much better golfer. That’s what Cleveland Golf is all about, and it’s the reason why you should consider buying products from this company that truly has your best interest in mind when out on the golf course. To get a better idea of how Cleveland Golf got its start, we’d like to take a brief look at the company’s history. So that’s what we’ll do right now. To start things off, it’s important to know that the Cleveland Golf brand was originally created by the founder Roger Cleveland. The company was first started in Roger’s hometown of Huntington Beach, California in 1979. This company makes golf products and currently employs more than 350 people. Cleveland Golf is a subsidiary of Sumitomo Rubber Industries, and when they originally started out; they were known as a company that had the ability to reproduce classic golf clubs in the form of replicas. But now the company is a leader in creating high-quality golfing products and they use advanced technology to create innovative designs and high-quality wedges which are considered the best in the world. When Roger Cleveland first founded the company in 1979, it was not originally called Cleveland Golf. If you remember, the company first focused on making replicas of classic golf clubs, so the original name for the business was Cleveland Classics. Immediately, many of their wedges became very popular on tour, and their persimmon woods including the TC 15 was also an incredibly popular golf club. In fact, they designed a wedge in 1988 called the 588 that is considered to be one of the top-selling wedges of all time. So golfers obviously recognize the value in Cleveland’s high-quality innovative designs, and if you’re really looking to improve your game, you should seriously consider buying these clubs and their accessories as well. The company was sold in 1990 to Rossignol, a ski equipment manufacturer, which is when the name of the company was officially changed to Cleveland Golf. The new owners decided to take this company to an even higher level of growth, and their various VAS irons and woods using progressive designs and advanced technologies were considered some of the best available that money could buy so they were very popular among avid everyday golfers and Tour participants alike. In 2005, Rossignol was purchased by the surf brand Quicksilver, Inc., and took control of Cleveland Golf until December 2007 when it was then taken over by Dunlop Sports Co. LTD after they had purchased the organization from Quicksilver. Even though this company has changed hands a number of times since its inception in 1979, it still has a very strong presence among professionals on tour, and it even has a staff of some of the more popular golfers like David Toms, Graham McDowell, Keegan Bradley, and Dave Pelz to name a few. The latest company development took place in 2016 when the company decided to no longer make metal woods and irons. But they still certainly sell them on their website and in their stores because they have recently partnered with Srixon Golf, who makes a line of high quality metal woods and irons. 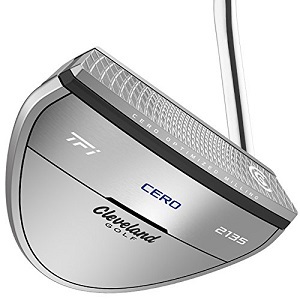 You can still purchase the top level putters and wedges created by Cleveland as well, and the company will continue to design and manufacture them just like they have for nearly 40 years. As you are about to learn, there are some incredibly astonishing golfing products that people absolutely adore being manufactured and sold by Cleveland Golf. And just like any other company, they have some products that truly stand out amongst the crowd and others that aren’t as popular. To help you get a feel for the top-selling Cleveland Golf Clubs, we’re going to share an in-depth look at some of these awesome clubs with you today. Without any further delay, let’s get into the good stuff. The CBX is one of the top clubs offered by Cleveland for a wide variety of reasons. But most important of all, people truly love this club because it has exceptional spin control and stability. Plus, the feel and versatility are surprisingly perfect according to many golfers that love using this option. On the other hand, some people may not like this wedge because they may prefer a lower bounce, and you’re not going to get one when using this particular club. So you definitely have to take that into account if you’re the type of golfer looking for a low bounce. 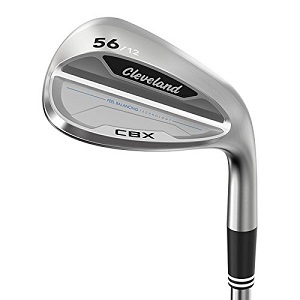 The key technology incorporated in the Cleveland CBX Wedge makes this club a lot more forgiving than the rest. Since it has a cavity back design, you do not have to worry about make a mistake that you’d typically make when swinging a blade style wedge. This will help you maintain the versatility of your short game while putting more spin on the ball. All in all, you’ll appreciate the CBX wedge because it’s a great all-around club. You’ll feel confident when using it because it has a soft feel, high levels of forgiveness, excellent control, and it no longer looks like a clunky wedge. Overall, you will be very impressed with the narrow heel section and wide sole that makes it very easy to use this amazing club. Cleveland’s RTX-3 wedge is also incredibly popular among golfers of all persuasions. You’ll love this club whether you’re an absolute novice or an experienced veteran, because it’s one of the best short game wedges that money can buy. And you’ll feel measurable improvements that are very real when using this popular golf club. The great thing about this wedge is you can get it in a variety of styles. They have blade, woman’s cavity back, and men’s cavity back. It also has three different finishes including tour raw, black satin, and tour satin. The most popular finish is black satin, which is made from durable material that looks and sounds stunning when you hit the ball on the sweet spot. This golf club really performs because it incorporates Feel Balancing Technology into the design, which makes it easier than ever to hit the ball exactly the way you want to. They have three sole options as well, which let you hit the ball with a low, medium, or high bounce depending on which of the three dots you use. This wedge has a new Rotex Face, which is incredibly impressive because it has narrower and deeper grooves and a much sharper edge radius, which means you’ll have the ability to put consistent, greater spin on the ball at all times. 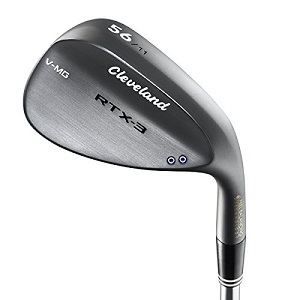 Cleveland went all out when creating the RTX-3 wedge. The three phenomenal finishes, three models, and new face technology make it perfect for any golfer looking to improve their game. The best part about choosing Cleveland Satin Cero Putters is that it will help you to improve two important things on your part: your alignment and speed. This club now has an optimized face that’s going to provide more consistent speed no matter where you happen to impact the ball. And the raised alignment technology in the 2135 makes it easier to align your shot no matter where the position of your eye happens to be. This putter is definitely one of the more popular clubs on the Cleveland Golf website. As a matter of fact, people love it because it has a soft polymer TPU insert, optimized face milling, and a high contrast 2135 raised sight line. Plus, the mallet head, single bend heel, low weight and Lamkin TFI 2135 mid-sized pistol grip make it a club that every golfer should have in his or her arsenal. 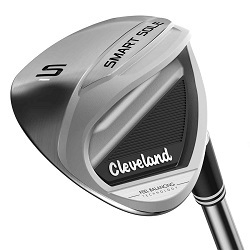 The Smart Sole 3S Wedge by Cleveland is one of the best tools available if you’re struggling with bunker play and chipping. If you’re sick and tired of having bad results in the bunker or if your chip shots just aren’t going your way, you definitely need to try this club because it’s impossible to have a negative result when using it. It really is that good and it will improve your game tremendously as far as chipping and bunker play is concerned. People like the look of this club because it has a large, round wedge, a round toe, and a curved leading-edge. So not only does it do wonders for your golf game, it also looks great, and the satin chrome finish makes it sparkle while on the course. If you’re tired of blading a chip across the green or leaving bunker shots still in the sand, you should get this club so you never have to do it again. Your short game mishaps will become a thing of the past once you start regularly playing with the Cleveland Smart Sole 3s Wedge. At the end of the day, Cleveland Golf is a company you can count on to provide high quality products to meet all of your golfing needs. Take a look around the site and see their clubs, accessories, golf bags, and more and change the level of your game play today by picking up one or more of these remarkable golf clubs. We hope you enjoyed our Cleveland Golf Reviews. 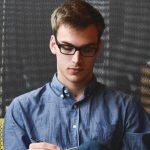 Next Article Thinking of Investing in Florida Real Estate?